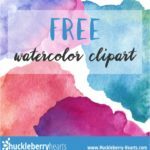 Do you struggle to add watercolor texture to your watercolor art? 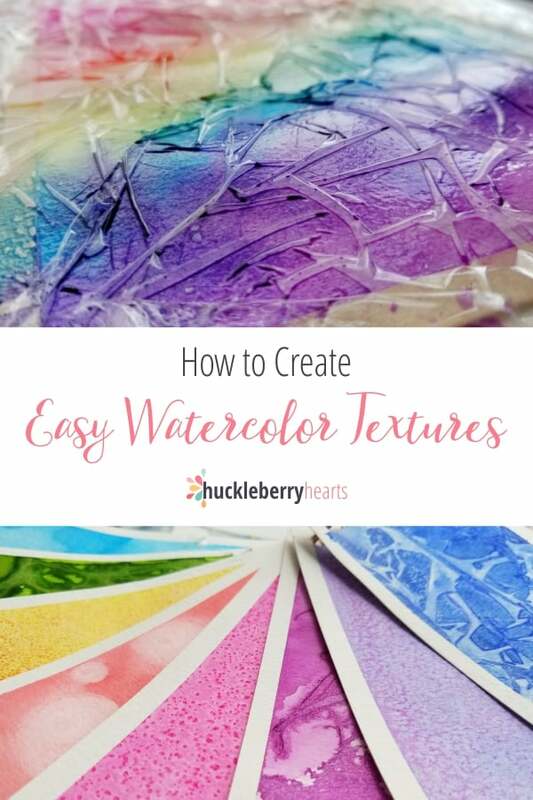 Well, in this post I will show you 6 ways to easily and quickly add texture and dimension to any of your watercolor paintings. 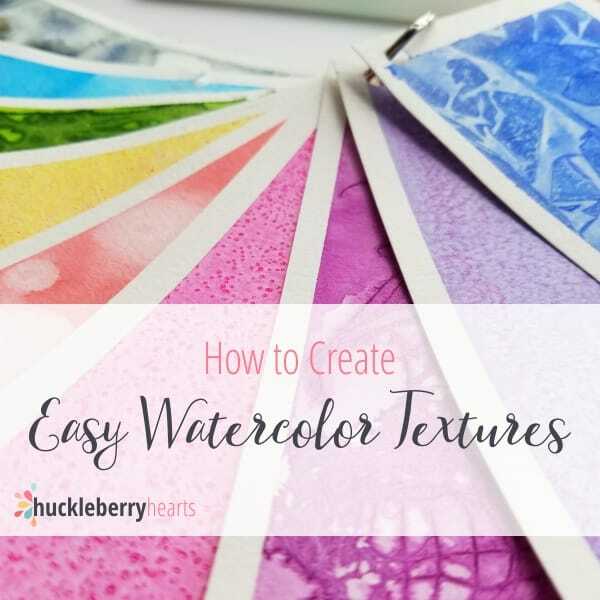 These simple and easy watercolor textures, are fun to make and incredibly satisfying to watch come to life. All my swatches that you see in this post are using 140lb Canson Watercolor paper that I have cut down from a 9 x 12 inch sheet to 6 pieces, 3 x 6 inches each. You can use any watercolor paper you like, I like to use the 140lb Canson because its affordable and I use it often. Step One: Lay down a layer of watercolor, I chose Ph Martin’s Phthalo Blue for the pink sample. Step Two: While the watercolor still has a sheen, sprinkle on salt. You can try either regular table salt or course salt. I used regular table salt. Then let it dry before brushing or lightly rubbing off the remaining salt. 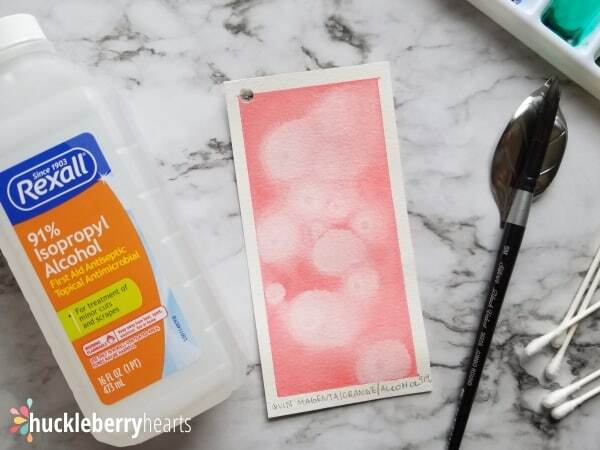 Try: After you lay down your first wash of color, let it dry completely. Then add a second color on top and add salt while its still wet. This is what I did in the purple sample. I used Ph Martin’s Phthalo Blue, then Windsor and Newton Mauve. 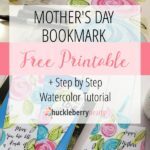 Related: Watercolor bookmark tutorial plus free printable. Step One: Lay down your desired watercolor paint onto the paper. Step Two: Using Q-tips dipped in alcohol, touch the Q-tip to the watercolor paper. The more alcohol you use, the bigger the effect. Note: I tried using 50% rubbing alcohol and it didn’t have much of an effect. I then tried 91% rubbing alcohol and had much better success. Caution: Be sure not to use your watercolor brush to apply the rubbing alcohol. Not only will this ruin your brushes, but if you introduce it into your watercolor palette, you will ruin the paint as well. Step One: Begin by laying down your desired color. Step Three: Place the gauze on the watercolor while its still wet and press lightly into the paper if necessary. I like to pull the gauze apart a little bit and into different directions to get different shapes and lines. Step Four: Drop in more watercolor if desired. You may want to experiment with this a little to see the different effects you can get. Step Five: Allow the watercolor to dry completely before carefully peeling off the gauze. Step One: Lay down a watercolor wash in your desired color. 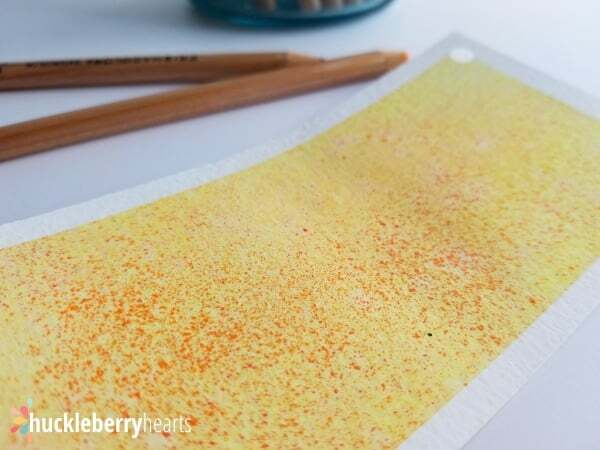 Step Two: Using watercolor pencils (I use and love my Prismacolor Watercolor Pencils) and fine sandpaper, rub the tip of the pencil on the sandpaper over your watercolor paper. 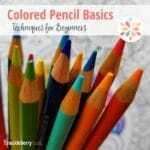 Tip: Try using more than one watercolor pencil to get different colors! 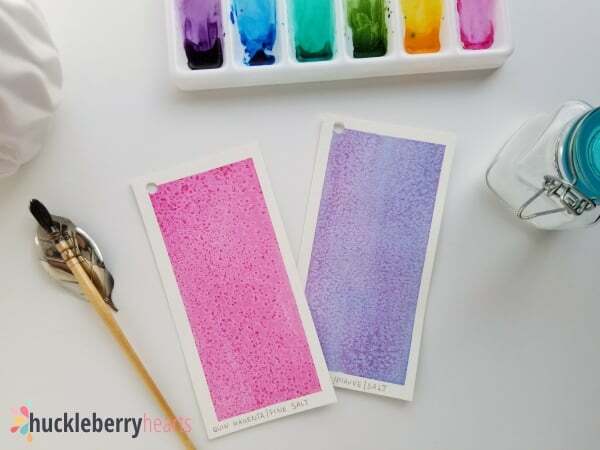 Also, try using plastic stencils to give the ‘sand’ a patterned look on your painting! Step Three: Using a fine mist sprayer, spray water over the watercolor ‘sand’ to lock it onto the paper. Note: You can apply another watercolor wash over top of the watercolor pencil ‘sand.’ Some of the texture will remain, and some will mix with your watercolor wash. Step One: Lay down a wash of your desired color. I used Ph Martin’s Phthalo Blue so it would look like a sky. 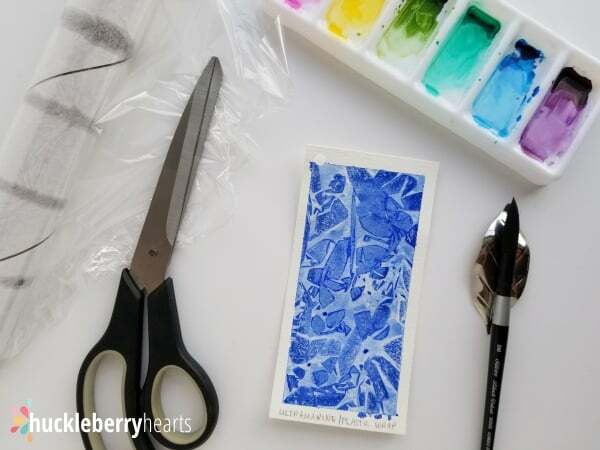 Step Two: Using plain tissue, wad and roll up the tissue lightly and gently dab color off of the watercolor paper. 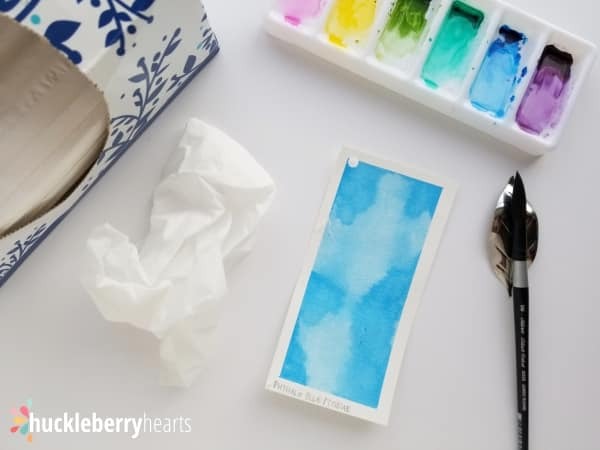 Tip: Each time you dab the paper, roll the tissue around and use a different side to give the appearance of different shaped clouds. Caution: Do not use tissue with lotion, it will add oil to your watercolor and ruin your painting! Step One: Lay down your watercolor wash. I used Windsor and Newton Ultramarine Blue. Step Two: While the watercolor is still wet, lay plastic wrap over your painting. Lightly bunch up the plastic to create different shapes. Step Four: Allow the painting to dry completely before removing the plastic. This may take a while. I have tried using a fan but I had best results just letting it air dry. Step Five: Once the paint is completely dry, carefully peel off the plastic to reveal your texture. 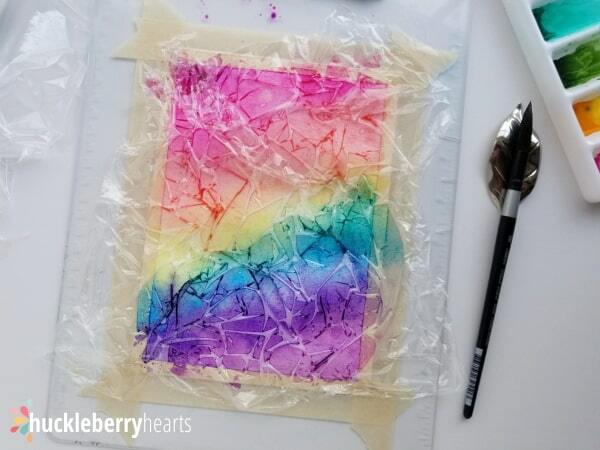 The paper may still be damp after you peel off the plastic, I suggest letting it air dry a while longer. Here is one of my projects using the plastic wrap technique while I wait for the paper to dry. 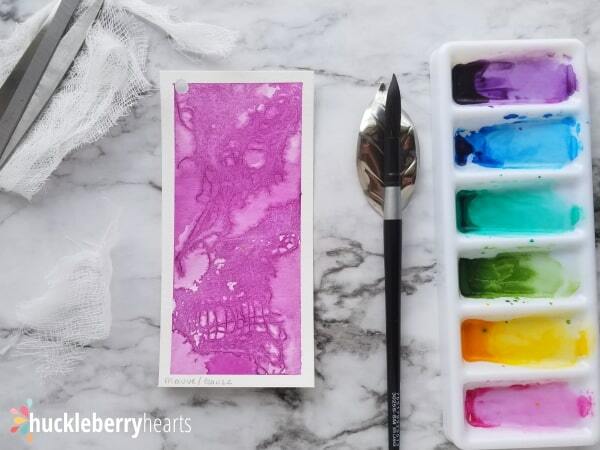 Well, now you have 6 easy ways to add more texture and dimension to your watercolor art. Of course there are other ways you can add texture, but these are my favorite, go-to techniques! Have you tried these texture techniques in your art? 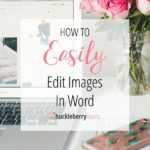 Do you have other favorite ways to add texture? Share them with us in the comments below! 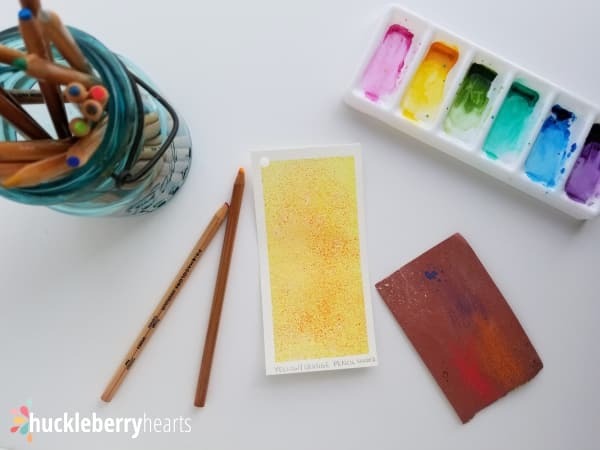 And before you go crazy making new watercolor paintings, be sure to sign up for my Huckleberry Hearts newsletter. 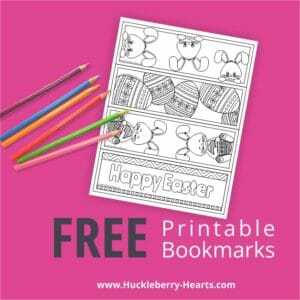 Get the latest blog post how-to’s, freebies, sales, and more right to your inbox. These watercolors are simply delightful! Thank you so much for sharing your knowledge!